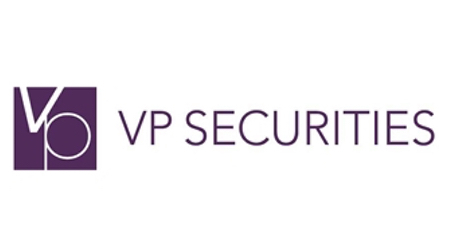 VP SECURITIES (VP) offers its customers solutions and expertise in the field of securities and investor administration. We have developed internationally recognised securities handling systems and contribute to a stable, safe and well-functioning financial market. VP is the central securities depository (CSD) in Denmark and is approved and licensed as such by the Danish FSA (Finanstilsynet). As a financial infrastructure company, we form an integral part of the financial sector in Denmark. VP aims to focus on AI applications to improve operations by monitoring the daily transaction flows. The new AI application should monitor transaction pattern for the daily settlement flow and notify VP’s operations management when typical patterns deviate. It is important to detect any transactional or trading abnormalities before they occur in order to avoid fraudulent activities, operational instability or other unintended behaviour. We want to deliver the highest quality service to the market, and thus being able to identify abnormalities before, or latest when, they occur would strengthen our operational capabilities greatly. The research should start with so to called “helicopter” approach looking into AI application possibilities, analysing possible patterns; afterwards scoping down to specific service improvements. Data: You will get an access to extensive database to work on. It consists of approximately 1 million entries per day containing information such as Buyer ID (BIC and depot), information of the type message/transaction, amount and volume, specification of which instrument (which securities) it regards and other. The data is highly structured and follows either the international standard ISO 15022/ ISO 20022 or other well defined formats. For this project, we are looking for master students interested in Machine Learning, AI, Big data, Data Mining and similar topics. Students are expected to have a technical background and be able to create algorithms using machine learning. Experience in financial sector is a plus, but not necessity. Proficiency in danish language is a plus as well. Travelling expenses might be reimbursed if there is a sufficient distance to travel from University to the Office in Copenhagen (Weidekampsgade, 14). Job contract might be considered after successful collaboration.